We highly encourage all new students to complete e-orientation. This is a program that will help you better understand how to transition to UAS by providing information about campus resources, academic expectations, time management, getting involved on campus and online, the Student Code of Conduct, and Title IX. This allows you to prepare for being at UAS student prior to classes beginning- giving you the best opportunity for success. How long will e-Orientation take? Once you have access to UAS 101, you will be able to complete it on your own time within 3 hours. 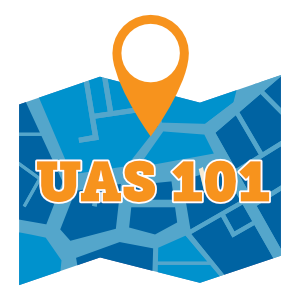 You can complete UAS 101 in chunks or all at once if you wish - and if you need assistance or more information, you can always reach out to the First Year Experience Office at uas.firstyear@alaska.edu. Students are encouraged to complete e-orientation prior to the end of the add/drop period (September 7, 2018 for Fall 2018 and January 25, 2019 for Spring 2019). How do I access e-Orientation? Simply click the link above, sign in using your UA login, and select the first module, titled "Welcome to UAS!" Many modules have a short quiz to help you check yourself for understanding. Once you have passed each quiz, you will be able to view the next module. Help! I don't remember my UA Login. How do I access it? If you've forgotten your login or you don't think you've logged in before to any UA services, you can reset your password utilizing ELMO. You will be able to select from three options to help you retrieve your login or set up your account for the first time.